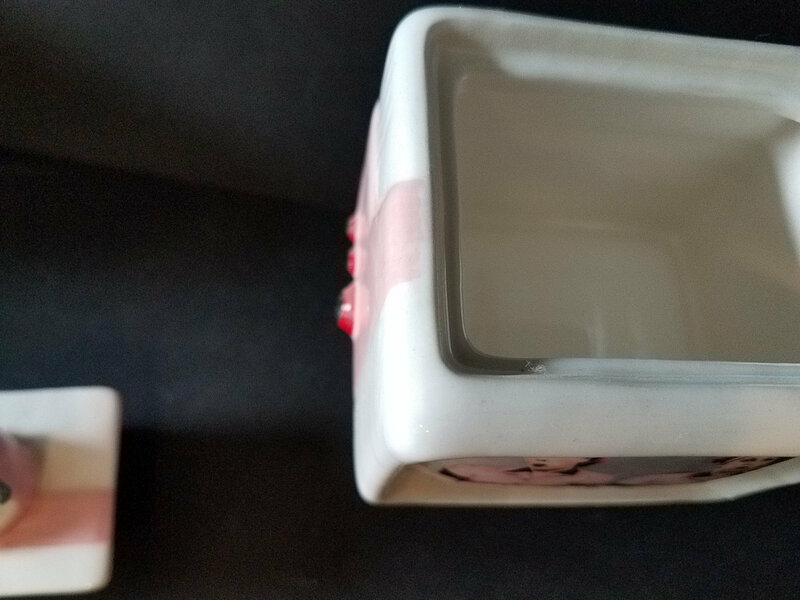 This is a cute little ceramic box that stands on 4 wire legs and opens from the top. 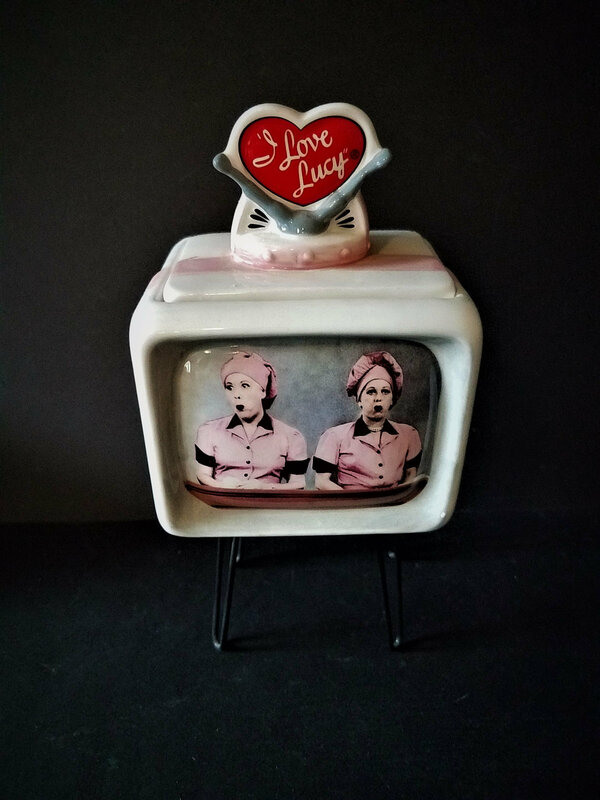 It is in the shape of a tv with Lucy and Ethel in the chocolate factory on the "screen". It has the I love Lucy logo on the top. 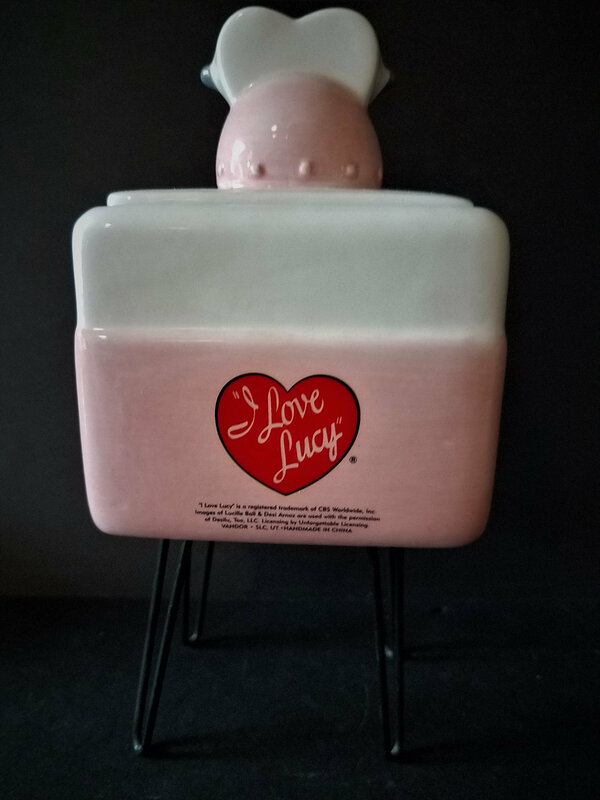 Under the top is a music box which plays the theme to the I Love Lucy Show. It has only been played one time. The TV is 3.5 x 3 x 3 (not counting the rabbit ears) or the 2.75" legs. Very cute!